A trail on one of the Geneva Lake Conservancy's privately held easement properties. In the 1970s, at the height of a new wave of environmental activism in America, several local leaders met to discuss a very important topic: protecting Geneva Lake from pollution. The result of their discussion was the eventual founding of the Geneva Lake Conservancy, a 501(c)(3) not-for-profit organization that preserves and advocates for Walworth County waterways, natural areas and working lands. This year, the group is celebrating its 40th anniversary. It started as the Committee to Save Lake Geneva in 1977, and in 1992, it became the Geneva Lake Conservancy. “The Conservancy has been lucky to have many strong, dedicated leaders and supporters over its 40-year history,” says Geneva Lake Conservancy Executive Director Karen Yancey. Since that fateful meeting in the 1970s, the organization has grown to more than 800 members who faithfully support clean water and open lands throughout Walworth County. The GLC focuses on environmental efforts such as land protection and conservation easements (a legal agreement between a landowner and conservation group that limits the use of the land to ensure that the owner’s conservation goals for the property are upheld), Walworth County shoreland zoning, educational programming and municipal meetings. 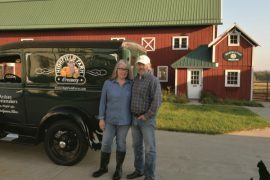 Yancey adds that Walworth County has an abundance of prime agricultural land, otherwise known as working lands that they’ve set out to protect as well. “The Conservancy has almost 1,000 acres of working lands preserved by conservation easements,” she says. Yancey, who has been with the Conservancy since September 2016, has worked for more than 25 years in Illinois and Wisconsin’s land trust community as a board member, staff member and volunteer. 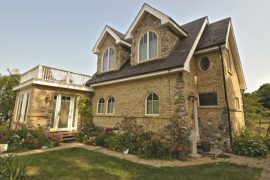 “You could say I have returned to the place where I developed my love of the natural world as a child during my summers at my grandparents’ Williams Bay home,” she explains. “There is so much natural beauty in the Geneva Lakes area and throughout Wisconsin, and I am grateful to be able to use my land trust experience to help protect it from pollution and inappropriate development,” she adds. 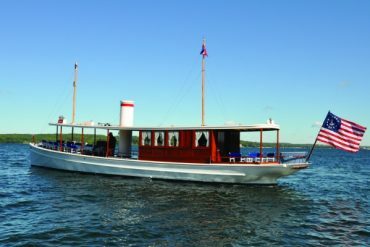 Nancy Russell, a Walworth County Board Supervisor for District 11 and longtime supporter of the Geneva Lake Conservancy, shares Yancey’s sentiment. Charles Colman, an active board member and supporter of the GLC for the past 14 years, agrees, and says, “Our woodlands, prairies and agricultural lands are what gives our county character and beauty. The Conservancy has attained much success throughout the previous four decades. Just some of their achievements include: the completion of the 2007 Geneva Lake Watershed Survey; the installation of 29 Geneva Lake Watershed signs to encourage public awareness; and in 2015, the organization surpassed over 1,900 acres of protected land. But according to Yancey, the Conservancy still has a lot of ground to cover. In 2017, their plans include a new land acquisition program and the Monarch Mission, a movement to preserve the monarch butterfly population. “The monarch butterfly population is in decline worldwide because of habitat loss, which includes the scarcity of milkweed on which it depends to feed and lay eggs. The Conservancy has launched its Monarch Mission to sell up to 1,000 milkweed to be planted in the county,” she explains. In any organization, with achievements come challenges. For instance, the Conservancy’s conservation easement at the Black Point Historic Site was a “struggle over many years,” says Yancey. Colman says that “growing and supporting a small land trust is not easy,” but he attributes the Conservancy’s survival to the “long list of board members who supported the organization and paved the way.” He also notes that building a strong financial base has taken time and effort and learning their role in advocacy has been difficult. 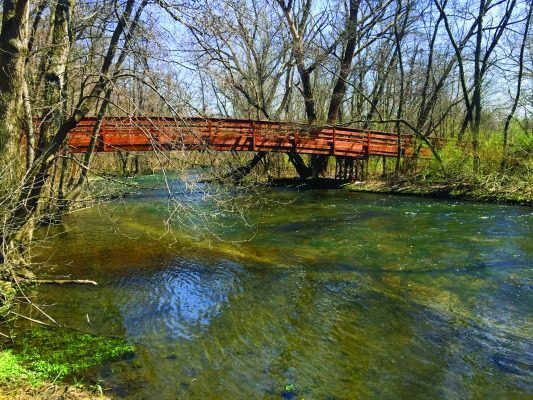 The struggles have made the successes that much sweeter, like the GLC’s partnership with the White River County Park. 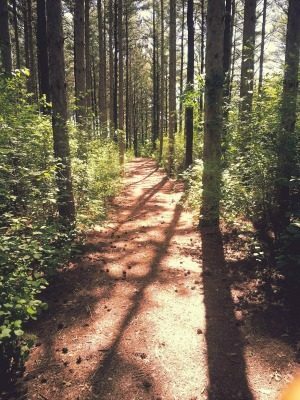 In 2014, the Conservancy advocated for the purchase of the park by Walworth County and prepared a plan for the restoring of the trails, woodland areas and prairies. The GLC continues to work toward prairie restoration and helps with work days. 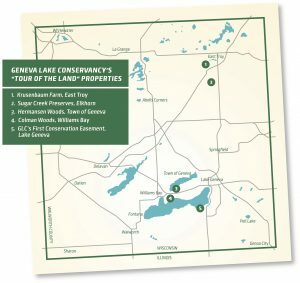 On July 15, the Geneva Lake Conservancy will mark its 40 years of advocacy with their “Tour of the Land” Day, in which the public is invited to tour and hike privately-owned easement properties. Included in the $10 ticket? A map and volunteer-led talks focusing on each scenic area’s natural features. “They will experience life on a biodynamic farm in central Walworth County, hike trails on a Sugar Creek nature preserve, walk through an old oak forest blooming with native understory plants, learn about a forest restoration near Lake Como and stroll a shoreline of majestic oaks on a historic Geneva Lake estate,” says Janet Happ, Geneva Lake Conservancy director of development. That evening, guests are invited to attend the Conservancy’s evening gala at the lakefront estate of its first conversation easement, complete with dinner and presentation on the future of the GLC. For more information visit genevalakeconservancy.org.